Hello everyone! I suppose it’s only been a week, but it feels like i’ve been away from blogging for a long time. Last week I had several days all to myself – and I had big plans to spend the majority of that time writing, blogging, and making updates to existing posts. Unfortunately on day one my laptops hard drive had some surprise issues that left my laptop unusable. I’ve restored my old drive to it’s factory settings and right now everything is working fine – hopefully it will stay that way! Since it’s Friday it seems only right to do yet another Fabric Friday post. This weeks theme is a little less positive then last weeks, and it will probably be less visually interesting too. There area a lot of materials I love, some that I hate, and some I love to look at but hate to work with. The latter of which is what this post is all about! 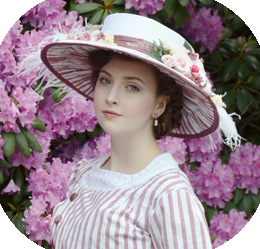 In my two years of sewing I’ve worked with a lot of fabrics, and have discovered that every material has certain qualities that makes them wonderful – and others that make me a little angry. Brocade frays if you stare at it too long. Peachskin will happily break any needle you try to shove through it. Taffeta requires a huge amount of ironing and steam to make seams look smooth. Velvet is stunning but jams up machines in seconds. And good luck making a fitted garment from cotton sateen that doesn’t look stiff. The more I make with each fabric, the better I get at using them. Now I know what problems to expect from the materials, so I can work around them and better decide what’s suitable for certain projects. I often deal with frustrations related to fabrics when sewing, but they happen WAY less often then they used to. When they do happen, i’m usually using the fabrics i’m going to talk about in this post. 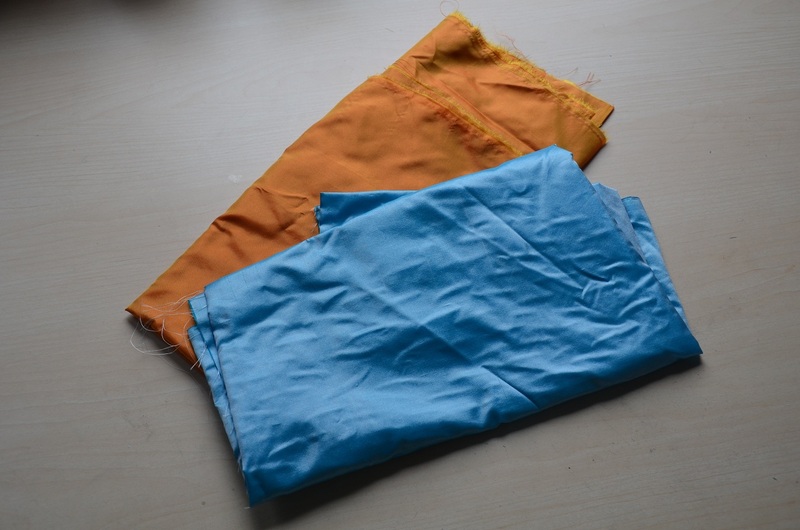 For this week I selected two fabrics – Silk [satin and taffeta], and chiffon. 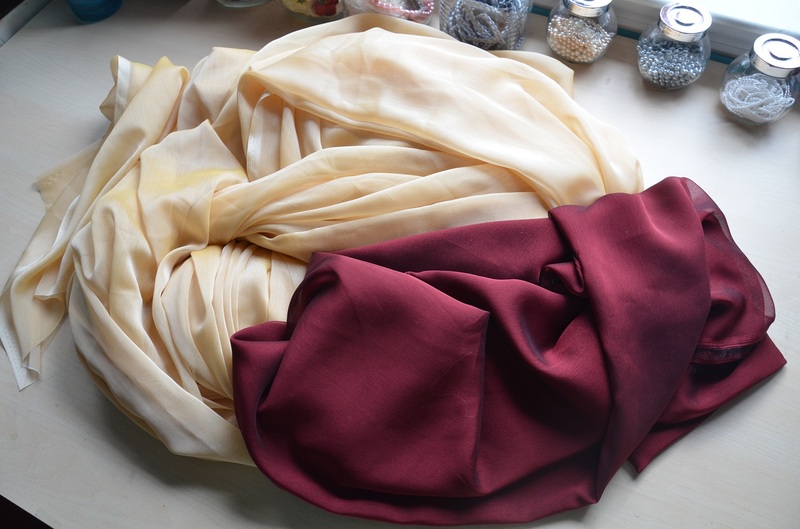 Chiffon is a fabric that I use in almost everything I make. The sheer material has a gorgeous drape and adds a lovely, light, delicate quality to anything you make with it. It comes in every color you can imagine, along with matte, two tone, and iridescent finishes. It’s pretty damn stunning and I adore the way it looks in most of my finished projects. But the pretty fabric has a dark side. A side filled with fraying, puckering, pulls, and making it impossible to get patterns cut out precisely. This fabric is so impossibly slippery – no matter how many pins or pattern weights I use, two “identical” pattern pieces never look the same. Even when cutting two inch strips (something so simple it should be impossible to mess up) I’ll find massive inconsistencies – sometimes more then a half inch off. It’s insane, and frustrating, and a real pain to deal with. The materials frays more then any I have ever worked with, and it puckers so easily that machine sewing hems is nearly impossible. It’s slippery so getting seams to line up (even when pinned) is a challenge – and after those seams are sewn you have to be really gentle since the fabric is so delicate the stitches can easily create tears or pulls in the material. Working with it is a thing of nightmares, i’m telling you. But I probably won’t stop using it any time soon, since the end result is something I dream about. The second fabric I’m going to talk about is one I have less experience with – silks. Since i’m a student, and still learning, I tend to purchase cheaper fabrics. If I have a costume with a large budget, i’d probably rather spend the extra money on trims or embellishments, since I think those tend to make a garment look more fancy and interesting then expensive fabric. But I have had a few projects made entirely from silk – and they weren’t much fun. The most recent was an off white, fully silk satin dress. The majority of the project was hand sewn – partly to finish things nicely, but mostly to avoid creating pulls in the delicate fabric. It’s such a fine weave that even the sharpest needle seems to catch on every thread and create annoying and ugly pulls on the pretty fabric. If you get anything wrong, tearing it out is going to be a nightmare. The fabric will never look the same and can even be damaged beyond repair, all because of a tiny mistake. And the mistake will hurt so much more because of the fabric costs. 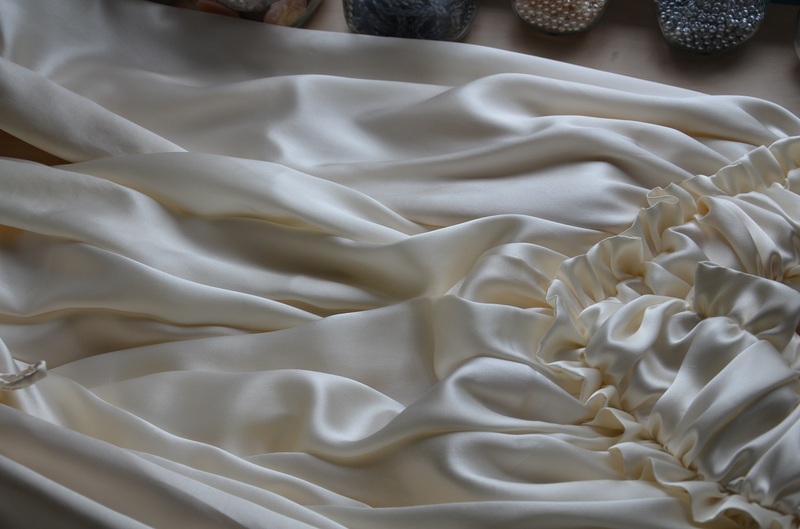 To make it worse – there isn’t a good substitute for silk satin, or silk shantung, or silk taffeta. They are all very unique looking, and the polyester alternatives just aren’t the same (or even close). Of course dealing with the challenges are worth it in the end – I certainly won’t stop using a fabric just because it puts up a fight. And i’ll never avoid using a fabric just because it may be a little challenging…but I can’t promise I won’t complain when dealing with those challenges. Are there any fabrics you have a love-hate relationship with? Or tips on how to make them a little less painful to sew with? I’d really enjoy hearing about them! I don’t know of anyone who enjoys cutting out slippery fabrics. One tip for sewing on chiffon and silk is to have a sewing machine that has integrated dial feed like the Pfaffs do. A couple other brands have something similar but my experience is with PFAFF. Katrina Bohnet Walker has some excellent ideas about working with hard to tame materials. She is on Facebook. I admire your abilities and how far you’ve come in your passion. Look forward to seeing more of your work! I’ve yet to work with either chiffon or silk, but I have heard that putting them in a single layer between two layers of tissue paper is incredibly helpful when cutting them. I absolutely hate working with knits. I know that really limits my pool of fabrics to choose from but every single time I have to work with them it’s just a nightmare. I don’t have a lot of space in my work area and that means that the knits will stretch, something you can’t have happen. It also has a mind of its own and will try to escape from my sewing machine. But when the nightmare is done and I have the finished piece I absolutely love the way it looks. So…yeah, definitely some love hate right there. I remember my first experience with knits – I was sewing a straight eight inch seam and decided I only needed to use a few pins.Fast forward two minutes and the completed seam was over an inch off, oops! They definitely require a lot of patience and can be super frustrating. Luckily with the projects I take on I can avoid them most of the time. -Chiffon and organza. I had to make an organza over skirt for my Violet Baudelaire costume, as well as an organza overlay for the bodice. It slipped all over the place, frayed like crazy, and what was worse was the applique. And this was one of my first cosplays-I think I may have been a bit crazy. -Knits and other stretchy fabrics. Grrr. So much puckering, and they are quite expensive where I live. Sometimes I sandwich the fabric between layers of tissue paper to make it a bit easier to sew. -Leather/pleather/vinyl: nearly broke my sewing machine sewing these. The trick seems to be using quite thin leather, leather needles, and sandwiching the leather between layers of tissue paper, which helps it slide through the machine. I hate chiffon too! I avoid it as much as possible. I had to make a bridesmaid’s dress and sprayed home-made starch on the fabric and ironed it until it cooked the starch, making the fabric as stiff as organza, as well as using tissue paper for stitching. The bodice still required a ton of hand-sewing and stretching the fabric to make it lie flat on the corset base (poor pattern choice in hindsight). 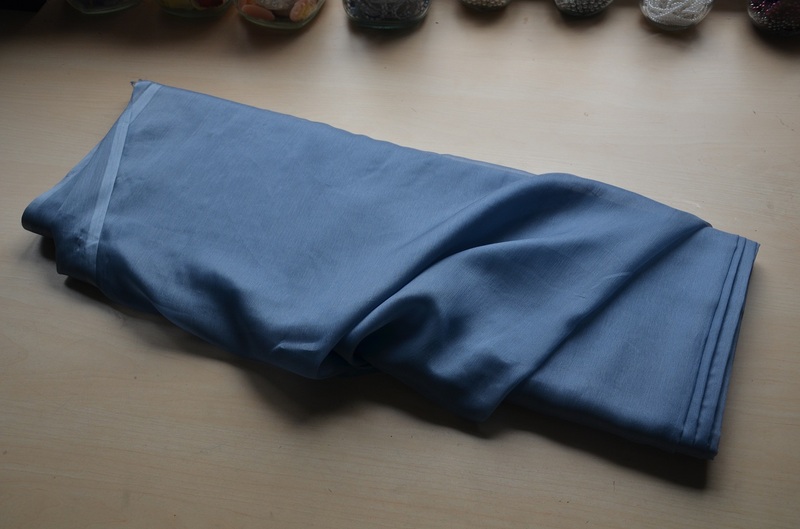 I think some poly satins are ok – maybe stretch satins, they seem to have a better hand-feel. I love silk dupion though, it’s relatively easy to work with apart from the fraying and the colours are gorgeous! Found you through the Buzzfeed article on your Frozen costume. I was a lot like you at your age, costuming and sewing my wardrobe. I worked at a fabric store to pay for my addiction which helped immensely, lol. I absolutely hate working with knits and fur, for the same reasons as previous posters! I’ve worked as a costumer in the theatre and admittedly, on those fabrics, I adhere to the “fifty foot rule”…if it looks good from fifty feet away, you’re golden 🙂 now that I have wee ones running around, I need to learn to sew knits properly. Looking forward to seeing your projects…you’re wicked talented for one so young! A walking foot. I love mine, best thing I ever paid for my sewing machine.